Churchill ditched their defensive approach the game in the second half, which lead to the first goal of the match by East Bengal. However, the inclusion of Clifford Miranda also enabled them the extra efforts they were lacking at the final third which helped them to the equaliser, sharing equal spoils of the match with their opponents East Bengal. See you again, bye bye. 90'+4' Peep Peep! Final whistles from the referee. The opening match of this year's Federation Cup concludes as a draw between these two teams. 90'+3' Jairu with another corner but Bukenya kicks the ball out wide. Yet another wasted chance for East Bengal. 90'+1' Substitution for Churchill Brothers: Surchandra Singh IN, Pankaj Sona OUT. 90' Four minutes of extra time has been added by the referee to the second half. 87' Both the teams are gearing up for one last chance as none of them wants to leave the pitch with only one point. 83' Substitution: Robin Singh IN, Willis Plaza OUT. 83' Less than 10 minutes are remaining for both the teams to grab a winner this afternoon. 79' GOOOAAALL! Kromah equalises for Churchill Brothers as Kromah finish off a deflected shot with style! 77' Substitution: Clifford Miranda IN, Richard Costa OUT for Churchill Brothers. 74' East Bengal looks like to be pressing Churchill Brothers with everything they got. Churchill dropping back down once again. 72' Churchill has registered a 44% possession in the second half till now but looks like to be losing it once again as East Bengal forwards intercepts a forward pass and goes on a counter attack themselves. 70' Another corner for Churchill Brothers but the ball is intercepted by the East Bengal defenders. Wasted chance for the Goans once again. 69' Kromah looks like to be arguing with the referee as Mehtab comes to calm the forward down. 67' Churchill is making an attacking comeback just moments after the East Bengal goal. It's also a 'goal'den opportunity for Rehenesh to prove his worth in the East Bengal team and probably win back his first choice position under the bars. This is going to be interesting. 66' GOOOAAAALLLL! It's Wedson! The Haitian takes on three Churchill defenders alone and dribbles past them to shoot the ball in the bottom left corner of the bars. 62' Corner for East Bengal. Wedson gets the cross but sends the ball out trying to figure out the gap in the Churchill defence. 60' Wedson looks more aggressive than the first half as the Haitian keeps making runs towards the Churchill Brothers' goal. 57' Substitution: Looks like Subhasish is coming off the pitch as Rehenesh makes way inside to replace the injured shot-stopper. 54' Chesterpaul with a cross which goes to Brandon Fernandes on the other side of the pitch. Fernandes takes the shot but the ball is blocked by Bukenya and goes to Chesterpaul once again, who shots the ball in the East Bengal goal, to be saved by Subhasish in the process. 50' Offside! Pankaj Sona with a screamer but the ball goes wide over the bars. The linesman indicates of an offside involved. 48' Bikash Jairu with a corner kick. Naveen kumar comes out and fists the ball outside the corner box. 46' Brandon Fernandes with a free kick but the referee indicates the ball had gone out of the pitch. Goal kick for East Bengal. 46' The second half is underway. Join in for an interesting second half in the Federations Cup opener between East Bengal and Churchill Brothers. East Bengal registered a total of 11 shots in the first half with a possession of 62%, which shows the midfield and attacking dominance of the Kolkata giants. On the other hand, Churchill Brothers defence also worked wonders for the Goans under the leadership of Adil Khan, who denied their oppositions to score in every opportunity they got. The match, however, became a rather bit physical at the end of the first half, which saw a substitution being made, two players going out of the pitch for treatment and three yellow cards. Nonetheless, the first half proved to be a tactically sound half for both the sides with the second half remaining. Stay tuned for the second half commentaries. 45' The referee whistles to indicate the half time. 44' Yellow card once again! Gurwinder Singh receives the second yellow card of the match for arguing with the referee on his decision of calling a foul in favor of Churchill Brothers. 41' Poojary dribbles past Seriton once again and cuts inside and tries to find Willis Plaza upfront with a through but the ball goes out of the pitch. Goal kick for Churchill. 39' Substitution for Churchill Brothers: Pankaj Sona IN, Anthony Wolfe OUT. 39' Churchill looks like to be dropping deep to defend against East Bengal attacks with only Kromah and Wolfe being the only two players going forward. 35' Poojary dribbles past Seriton Fernandes and runs towards the Churchill goal and passes to Plaza but the pass is intercepted by Rowlinson. 31' Churchill with a counter attack with Kromah on the ball but the forward decides not the dribble inside the East Bengal box and shots the ball in the bottom left corner, which is saved by Subhasish in the process. 30' Jairu with a long shot from the 25 yards but Churchill keeper Naveen saves it with rather easily. 29' There is a silent battle going on between Seriton Fernandes and Nikhil Poojary with the latter being on the losing side till now. 26' Both the teams are opting to keep the ball down and wasting the aerial factor of the game or a goal or two might have been scored already. 24' Wedson tries a long-distance screamer from the 15 yards but the ball goes over the bars. Once again wasted by the Red and Gold Brigade. 22' Willis Plaza with another sudden burst of pace and tries to dribble through three Churchill defenders but fails as Adil Khan takes the ball away with a well-timed tackle. WALL! 20' Chance for Churchill! Wolfe tries to overcome a charging Subhasish who came out of an undefended corner box but fails as Subhasish brings the striker down with ease. Wasted for Churchill Brothers. 18' Keenan Almeida and Adil Khan looks nothings less than a brick wall in the Churchill defence, intercepting threats and clearing the ball time and time again. 14' Yellow card! Wedson Anselme brings down Wolfe with a rash challenge. The referee shows the Haitian a yellow card. 11' Chance for East Bengal! Plaza breaks through the Churchill defence with a sudden burst of pace and shoots the ball in the bottom left corner of the goal but Naveen saves the day once again for Churchill! Wasted for East Bengal. 10' Rahul Bheke overlaps and crosses to Willis Plaza but the ball is cleared while in the air by Churchill keeper Naveen. 8' Corner again. Brandon Fernandes takes the shot for Churchill and the ball goes to Kromah who heads it outside the pitch. 6' East Bengal left back Narayan Das looking like to be marking Chesterpaul Lyngdoh who tries to launch a sudden attack but fails. 4' Diagonal from the Churchill defence intended for Wolfe but the ball goes outside as an East Bengal defender successfully clears the threat outside the pitch. Corner! 2' Both the teams seem to be juggling the ball in the middle while Churhill Brothers are trying to press East Bengal on every opportunity. 1' And the match is underway! East Bengal faces Churchill Brothers in the opening fixture of Federations Cup 2017. 4:05pm The players are out and shaking their hands on the field. We are just moments away from the kickoff! Ladies and gentlemen, stay tuned! 4:03pm Churchill beat the Kolkata giants in their own backyard when the two teams last met in the league. 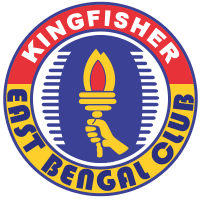 4:00pm East Bengal has won eight Federations Cup title in their history while they reached the final 16 times. Churchill has only won the trophy once. 3:55pm East Bengal XI: Subhasish (GK), Bukenya, Bheke, Gurwinder (C), Das, Borges, Mehtab, Jairu, Poojary, Wedson, Plaza. Churchill Brothers XI: Naveen (GK), Keenan, Adil Khan, Rowlinson, Seriton, Bektur, Brandon, Lyngdoh, Costa, Kromah, Wolfe (C). 3:50pm This is a comparatively hot day from the usual atmosphere in both Kolkata and Goa as Cuttack stands with a temperature of 37 degrees Celsius which might turn out to be a problem for the footballers. However, the humidity is much less in the city compared to Kolkata and Goa, which come as a welcome news for the footballers. 3:45pm East Bengal will be the without the services of Chris Payne and Jackichand Singh from the I-League squad previously this year. Payne, the Australian striker has been released by the club while Jackichand has travelled to his home on an urgent matter. East Bengal’s counterpart this afternoon, Churchill Brothers is likely to be without key footballer Anthony Wolfe against the Kolkata giants in the opening game of Federations Cup 2017. 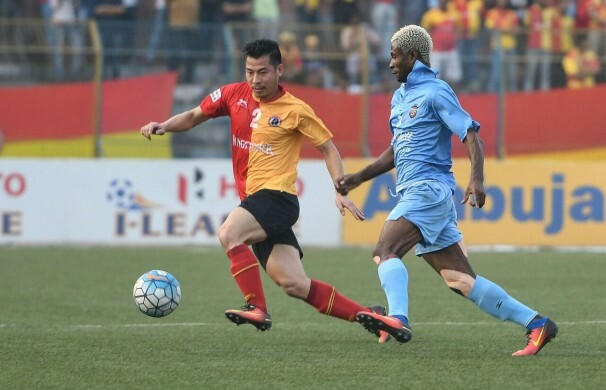 3:40pm East Bengal is coming from yet another unsuccessful I-League this year where they once again failed to clinch the title which resulted in the sacking of their head coach Trevor James Morgan. 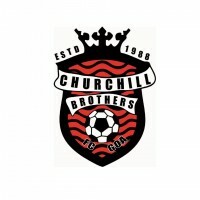 On the other hand, Churchill had somehow avoided relegation after the appointment of Derrick Pereira who helped them in a sixth place finish, enabling them to take part in this year's federations cup. 3:35pm To get us started here's all you need to know about this year's Fed Cup in Cuttack. 3:30pm: Hello and welcome to the Federation Cup opener between East Bengal Vs Churchill. This is your host Sourav Neogi.